A recent study showcases the fabulous potential of HCWs to enhance pain management and care provided by the health care team for people with dementia (De Witt Jansen, Brazil, Buchanan et al, 2017). In the study, it was reported that most HCWs regularly completed informal pain assessments, based on deep knowledge of the person gained while providing daily care. The HCWs recognized behaviours and nonverbal cues that differed from the person’s normal behaviour, and interpreted changes as potential indicators of pain. Furthermore, when these HCWs were present for a formal pain assessment by a nurse, the HCWs interpretation of the assessment often differed from that of the nurse, underlining the importance of knowing a person’s norms when interpreting behaviours during an assessment. These two findings emphasize the key role of front-line caregivers on the health care team, especially when providing care for a person with dementia. However… the quality of the informal assessments and reporting varied, wherein HCWs who felt their work was valued, felt part of the team, and had positive relationships with team members felt more motivated to complete informal assessments and provided regular thorough reports. 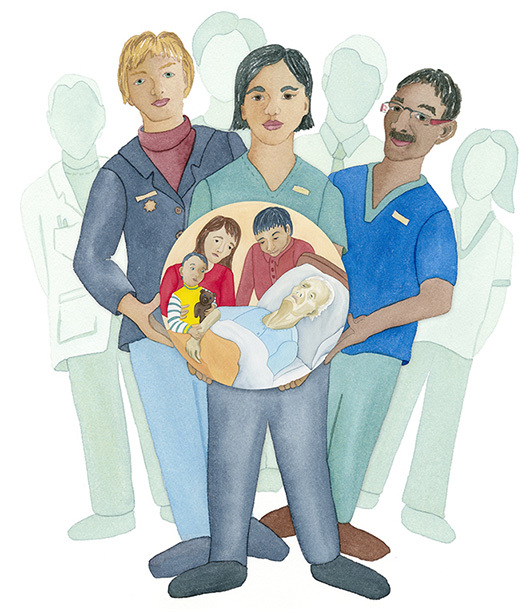 It is a small leap to suggest that valuing an HCW’s caregiving, input and contribution to the team may, in fact, enhance the care provided by the whole team. That’s something to consider! I am hearing the same message as I interview hospice aides in the USA in preparation for an NHPCO webinar series that is designed specifically for hospice aides. 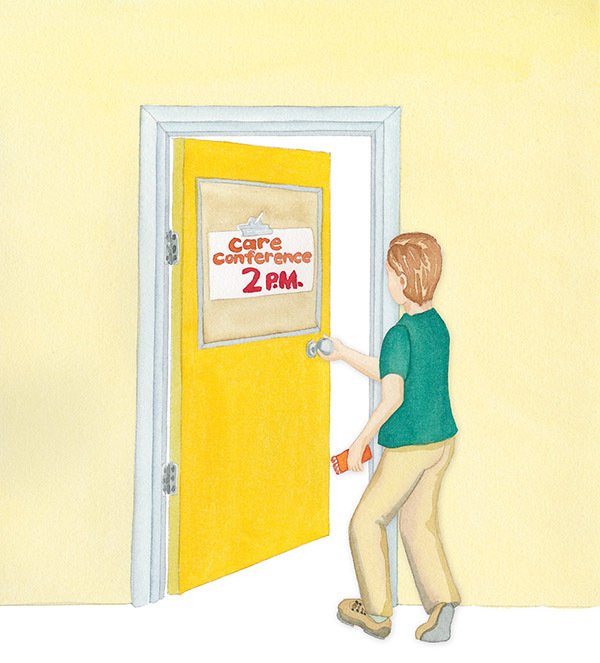 Time after time the hospice aides1 have shared stories of gathering information, reporting to the nurse, and how the nurse responded to their concerns, phoned the doctor, increased medications when needed. These actions support and value the work of the hospice aide. Simple actions such as returning phone calls from hospice aides, listening to their reports, and acting on the report, making visits when necessary, and providing a listening ear were other examples that helped hospice aides feel valued. Working as a team and validating the hospice aide as a valued member of that team helps the team to provide better care. De Witt Jansen, B., Brazil, K., Buchanan, H., Maxwell, D., McIlfatrick, S.J., Morgan, S.M., Watson, M., Parsons, C. (2017). Exploring healthcare assistants’ role and experience in pain assessment and management for people with advanced dementia towards the end of life: a qualitative study. BMC Palliative Care, 16:6, https://doi.org/10.1186/s12904-017-0184-1. This entry was posted in Hospice Palliative Care and tagged hospice, hospice aide, nurses assistant, Personal Support Workers, webinar. Bookmark the permalink.